Heat the oil. Pipe churros batter straight into the hot oil. Use your fingers or a knife to break off the batter when it is the required length. Once the churros are browned lift out and put onto a plate covered with some paper towel to drain. 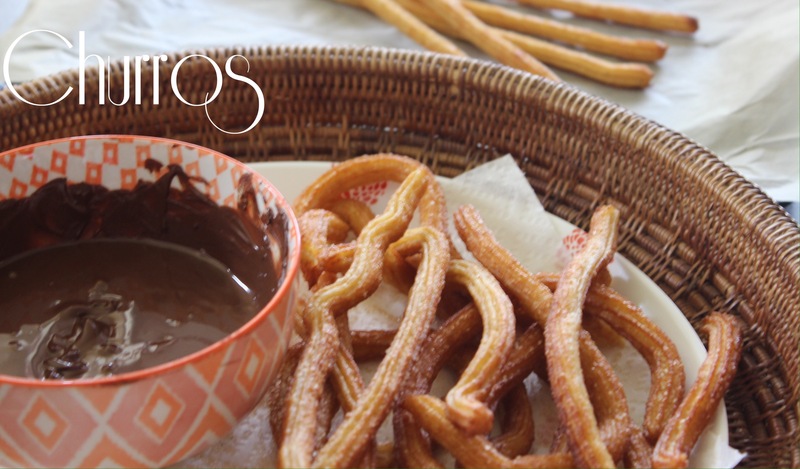 Don’t forget, as soon as your churros come out of the hot oil or oven if you bake them, sprinkle with cinnamon sugar. Melt your chocolate in the microwave or I prefer melt in a bowl resting over a pan with simmering water at the bottom. Make sure the water is not touching the bowl and stir continuously until melted. Pour the chocolate into a small serving bowl. 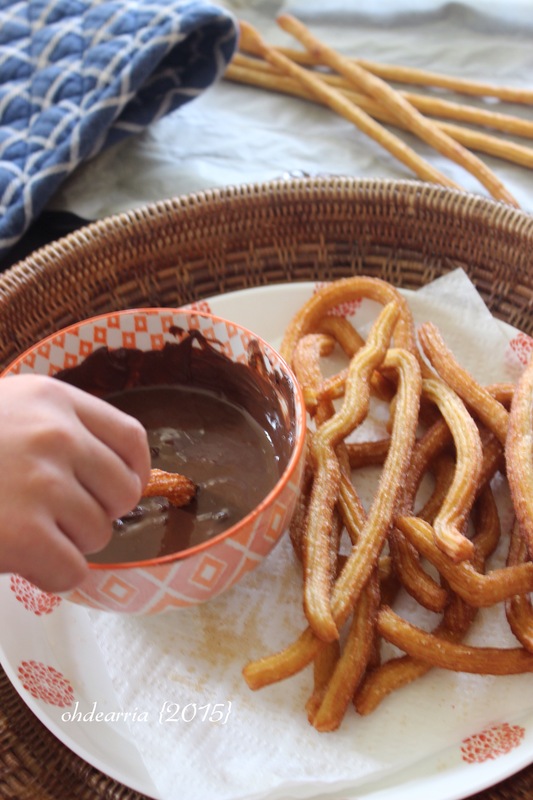 Churros are best when they are still warm. aku buat the other day rame2 sama temenku yang orang Spanyol, dan ibunya on the other line of the phone. hahaha it was fun and easy.